Welcome to Cloud Metrics’s documentation! Relevant data will be uploaded into a database. We have several convenient mechanisms to deal with the data. We can create summary of the data and can export in a variety of formats. This summary is especially important for administrators who like to find out what is happening on their clouds, but also for users to see with who they compete for resources. Together thes components provide the following functionality: (a) various clouds produce many log files, (b) the log files will be moved to a backup directory, (c) the log files that have been recently moved will be inspected and their contents will be added to the database, (d) the database is queried by a fg-metric command which is a simple shell that allows to quey for some very elementary iformation. It also allows to generate graphics for this information and place them in a web server (e) a sphinx portal framework - no login required (f) a flask portal framework - login required, (g) the output format includes png, googlecharts, and cvs tables. Please contact laszewski@gmail.com for mor information. Please insert the prefix: “METRICS: ” in the subject of email messages. The original database integration was contributed by Fugang Wang and was not tracked. If you like to join the development efforts, please e-mail us. We can than discuss how best you can contribute. You may have enhanced our code already or used it in your system. If so, please let us know. If you run into problems when using the cloud metric framework, please use our help form at https://portal.futuregrid.org/help. 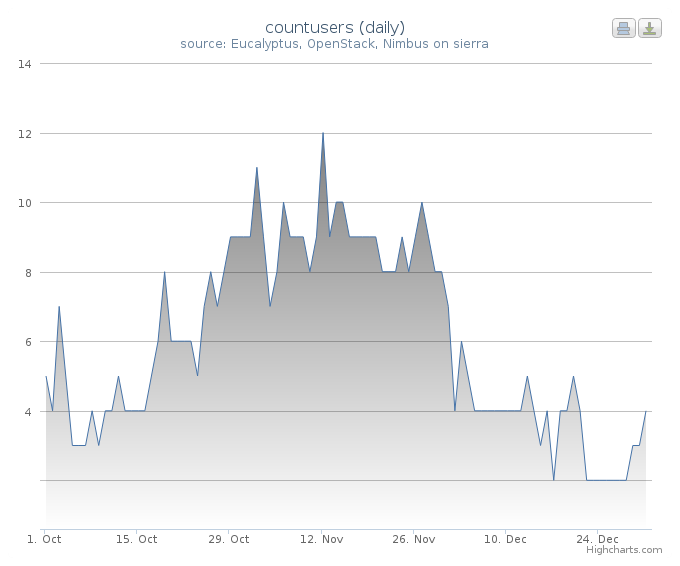 Cloud Metrics is our main monitoring system for clouds on FuturegGrid. In addition we also deployed other monitoring systems such as Inca which does monitoring at specific time intervals, and Nimbus which offers a less sophisticated and less comprehensive set of monitoring tools than our framework provides. 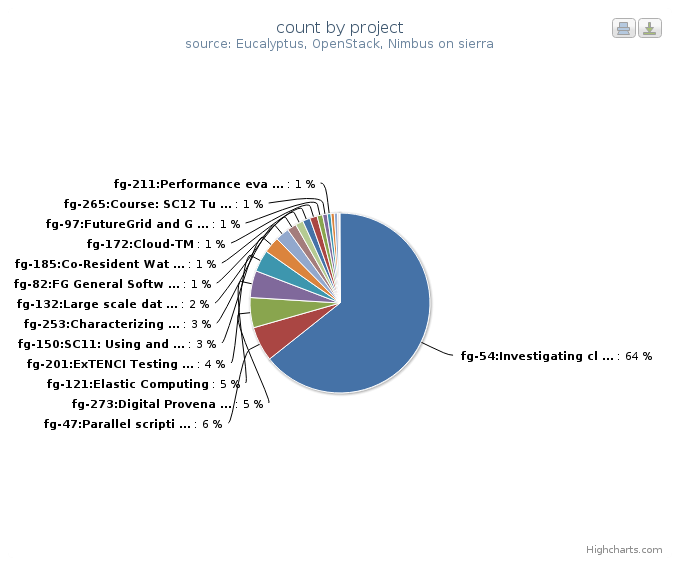 However we integrate the data from Nimbus in our framework. © Copyright 2013, Developed for FutureGrid by Gregor von Laszewski, Hyungro Lee, Fugang Wang.